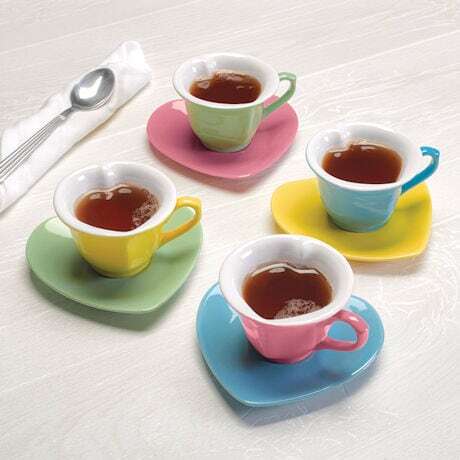 The sweetest way to sip your coffee or tea. Liquid becomes heart-shaped when you pour it into the cup, which rests on a heart-shaped saucer. Cups about 4" diameter, saucers 5" across. 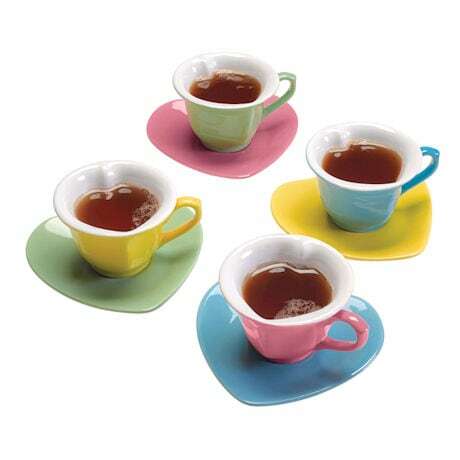 Set includes four cups and saucers in colors shown: blue, green, pink, yellow. Ceramic. Hand wash recommended. Set of Four.